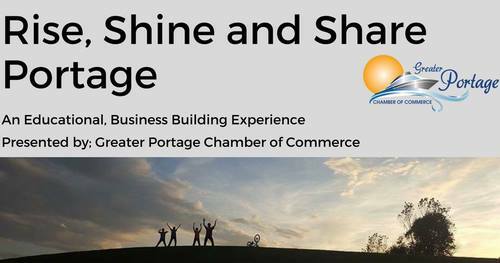 Please join us for Rise, Shine and Share Portage. This event offers Greater Portage Chamber of Commerce members the opportunity to share their ideas, business strategies and successes, and to exchange business referrals. Educational business topic will be presented for 30 minutes. The discussion is designed for any employee who is in a leadership role of one kind or another. The topic is Emotional Intelligence (El) and how it relates to relationship management (both at work and elsewhere in your life). You will learn how to regulate your own emotions, understand your own self, be able to empathize with others and interact with them positively.